This is Part 3 of the Deck Building Series. View Part 1 here and Part 2 here. Before we can start to understand Tempo we need to address what the term means. 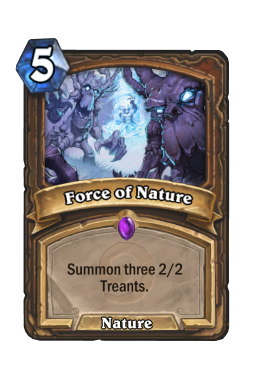 Tempo is a term that gets thrown around a lot by Hearthstone players. In fact, it is used in so many different ways that it starts to lose meaning at a certain point. So before we begin I am going to define what tempo means to me. I define tempo as a player’s rate of development. You may be wondering what exactly is development? Well, development is nearly everything in Hearthstone. Development is simply the process of converting resources into a form that bring you closer to victory. Development truly is any action that brings you closer to winning the game, but for the purpose of this article I am going to focus the discussion in terms of damage. To be clear, development is not limited to this concept, but once we are able to understand tempo from this perspective we can move on to more complex topics in later articles. Now that we have some idea of what development is let’s look back at tempo. Tempo is a relative concept. To understand the tempo of one player we must look at it through the lens of his/her opponent. This is why tempo is typically spoken of in terms of tempo gains and tempo losses, because you gain tempo by increasing your rate of development beyond that of your opponent and lose tempo by reducing your rate below that of your opponent. Since we are focusing on damage in this article we can imagine a game of Hearthstone as a race. Both players begin at the starting line with 30 health. The player that wins the race is the one who can get the opponent to zero first. To give you an example of how this tempo race is relative, think again of our favorite pair of hypothetical players, Jaina and Thrall. If Thrall is running the race at 10m/s that would be very fast, but it doesn’t matter if Jaina is somehow running at 11m/s. All that matters in the tempo race is your development relative to that of your opponent. The way you win a game is by figuring out a strategy that allows you to have enough of a tempo lead for a long enough time to get your opponent to zero health before he/she does the same to you. The problem with the way that most people think about tempo is that it has nothing to ground it in concrete terms. In order to truly understand tempo you need to be able to work with the concept objectively and not just think of it as an ethereal idea. My solution to this problem is approaching tempo in terms of numbers. For the purposes of this article I am going to use the most simple and straightforward numerical system I can envision. There are far more complex and precise systems that can be applied, but those go beyond the scope of this introductory series. So let’s dive into this system and see how it works. To get us started we will recruit our old friends, Jaina and Thrall. Example: It is turn 1 of the game and Jaina goes first playing her trusty Murloc Raider. It is now Thrall’s turn, but he decides not to do anything and simply passes the turn back. This is one complete turn cycle so let’s evaluate the tempo ramifications of this turn. Jaina played a threat onto the board while Thrall did not. Since Jaina clearly has a tempo lead at this point and we want to use the simplest possible terms to describe that lead, we will say that she has +1 tempo. Now it is turn 2 and Jaina decides to play a Bloodfen Raptor and then ends her turn. 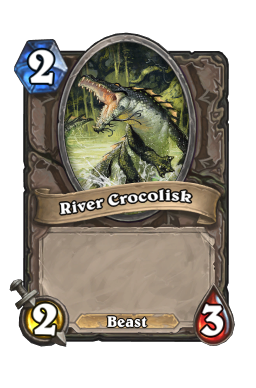 Thrall is worried about being behind so he plays a River Crocolisk and ends his turn. At the end of the second turn cycle Jaina has two threats on the board and Thrall has only one. Therefore, under our simplistic system Jaina still has +1 tempo, because the threats that Thrall and Jaina developed that turn cancelled out each other’s tempo. If Thrall hadn’t played the River Crocolisk that turn, but instead passed the turn, Jaina would have had +2 tempo. This is a simple system and it certainly lacks nuance, but it will be very useful for us to develop the concept of tempo going forward. It is important to note that while we will use +1 tempo for all threats, this does not imply that all threats are equivalent. 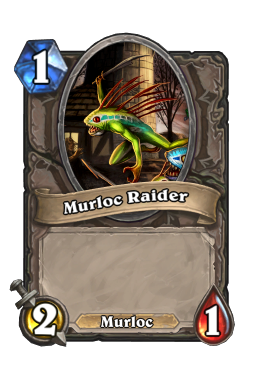 The power level of threats tends to scale with mana cost, so as access to more mana becomes available throughout the game, a threat like Murloc Raider becomes less and less relevant. This system is designed for simplicity but it requires us to periodically reevaluate threats throughout the game. We have one last key term to define before we can look at why tempo is beneficial. Initiative is a concept used in many games, but it fits into Hearthstone particularly well. The player with initiative is simply the one who is creating threats that demand an answer. As you may have noticed from this definition, initiative is once again a relative concept. This stems from the fact that creating threats alone does not give a player initiative. Those threats must “demand an answer” in order to give the player initiative. Let’s look at two examples to understand the distinction. In both cases we will begin with Thrall playing a Bloodfen Raptor onto an empty board and Jaina having a Frostbolt in her hand. Example 1: In this scenario it is turn 2 of the game and both players are at 30 health. Here, Thrall has the initiative, because he has played a relevant threat onto the board, putting Jaina on a 10 turn clock (3x10=30). Example 2: In this scenario it is turn 10 of the game and Jaina is at 30 health, but Thrall is at 3 health. Here, Thrall does not have initiative, because though he has played the exact same threat to the board, other factors in the game mean that Jaina does not have to answer that threat. 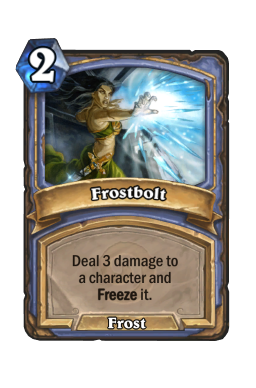 She can simply use the Frostbolt she has in hand to finish the game instead. In both of these examples playing the Bloodfen Raptor increased Thrall’s tempo +1, but as we can see having additional tempo does not equate to having initiative. So why do we want to have initiative? There are two main reasons why initiative is beneficial to a player, and they both stem from the idea of options. Having initiative gives you more options and your opponent fewer options. Let’s take a closer look at these ideas to understand exactly how it functions. 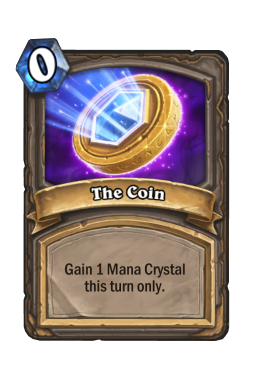 More options for you - The mechanics of Hearthstone favor the player who is attacking. This stems from the fact that as the attacker you are given the opportunity to decide what you are going to attack and even if you want to attack at all. Since you have these options as the attacker you are able to select choices which would be most profitable to you. We will return to this concept in later articles when we discuss card advantage. Fewer options for your opponent - The farther behind a player gets on tempo the less options he/she has available. This concept should become clear when you look at an extreme example of it. Say Thrall is once again at 3 health and this time it is Jaina that plays a Bloodfen Raptor onto the board. 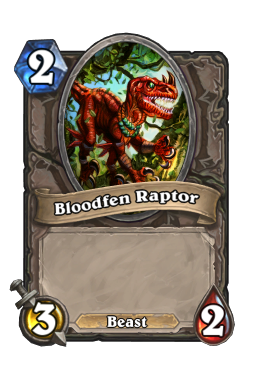 Unless Thrall is somehow able to win the game that turn he MUST answer the 3 damage that the Bloodfen Raptor represents during his turn in some manner or he will lose the game. In this situation the tempo lead that Jaina has developed has limited Thrall’s options to the point where he is forced into taking an action on his turn that may otherwise be suboptimal. This is an extreme example, but it shows how a tempo lead can make options less reasonable for your opponent as the game progresses. We now know why we want a tempo lead but we still don’t know how we go about getting one. So, next we should break down the common methods of achieving a tempo lead. Efficient Threats - In part I of this series we discussed how threats were relative to one another when discussing threat superiority. Let’s put some of that knowledge to use here. Our example of threat equality in that article was when a Murloc Raider interacted in combat with a Bloodfen Raptor and they both died. While it is true, that in terms of threat interactivity, these threats are equal, when we look at them from a tempo perspective we see that there is some disparity. The Murloc Raider costs 1 mana to play while the Bloodfen Raptor costs 2. So let’s use the same hypothetical situation from before but this time look at it from a tempo perspective. Example: Thrall goes first and has no turn 1 play. Jaina then spends her turn 1 playing a Murloc Raider . So, at this point, we know that Jaina has +1 tempo after the first turn cycle is complete. This fact should be our first clue that there is disparity between the two threats in terms of tempo efficiency. Now for turn 2 Thrall plays his Bloodfen Raptor and passes the turn. Jaina uses her Murloc Raider to attack the Bloodfen Raptor and they are both destroyed in combat. This leaves Jaina with two additional mana available to develop with her position going forward. The fact that her threat was more efficient from a tempo perspective has effectively given her access to two more mana than Thrall. If she is able to make good use of this mana, she may be able to maintain her tempo lead or even extend it by the end of the 2nd turn cycle. From this example, we should be able to see how threats that are equivalent from an interactivity standpoint are not necessarily equivalent from a tempo standpoint. Moreover, there are cards that are specifically designed to be difficult to answer. 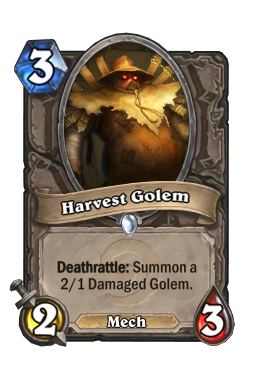 Consider cards like Argent Squire and Harvest Golem as examples of this type of card. When trying to answer a threat like this you will need multiple interactions to do so, unless you have a very specialized answer. Cheap Answers - The next way to get a tempo lead is through cheap answers. It should come as no surprise, at this point, that cheap is a relative term. The same card can be both cheap and not based on how it is used. 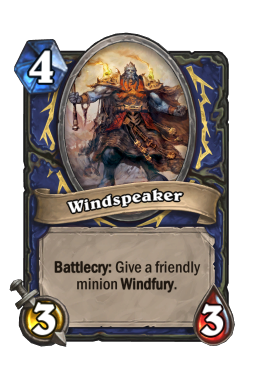 For instance, a two mana Frostbolt is very cheap when it is being used to remove a four mana Windspeaker , but it is not cheap at all when it is being used to remove a one mana Voidwalker . So, as you may imagine, the general rule is that if you can spend less mana to remove a threat than its owner spent to play it you gain tempo. However, this doesn’t necessarily mean that spending less mana on an answer equates to +1 on our scale. This may be counter-intuitive so let’s break it down. Example: It is turn four and neither player has anything on the board. So we begin the turn with the tempo at zero. Thrall goes first and he uses his four mana to play a Windspeaker . Jaina then spends two mana on a Frostbolt to answer the Windspeaker and ends her turn with two mana floating. So, at the end of the turn cycle the tempo for the game is still at zero. 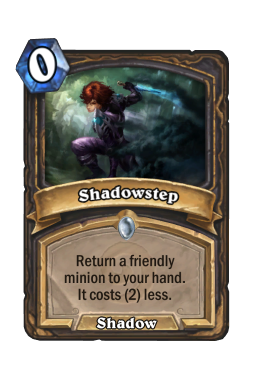 This seems counter to what we have been saying, because Jaina used a cheap answer, but somehow she did not gain tempo. This example forces us to see the truth, that cheap answers only offer a tempo gain if we are able to capitalize on the additional mana they afford us on that turn. In this case, because Jaina failed to use the excess two mana the Frostbolt afforded her there was no tempo gain on our scale. If Jaina had been able to spend that two mana to develop a threat she would have gained +1 tempo, but that was not the case. Mass Removal - So we have seen some ways to develop a tempo lead, but we haven’t looked at a good way to pull yourself out of a tempo deficit. That is where mass removal comes into play. Mass removal is any answer that targets more than one threat. Anyone who has played much Arena should be familiar with Mass removal. 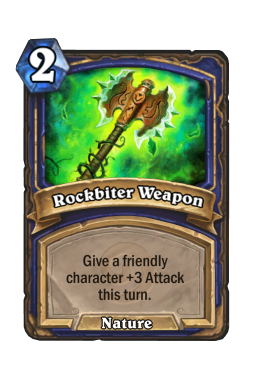 You are playing against a mage and have developed a strong tempo lead in the game. 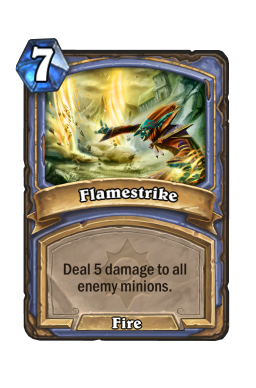 You have 3 or 4 unanswered threats on the board and are feeling good, but when you pass the turn you notice your opponent has 7 mana and then you see it -- Flamestrike -- the next thing you know your threats are all gone. In one fell swoop your opponent has managed to bring the tempo battle back to zero using mass removal. Most classes have access to some form of mass removal. Acceleration - There are some cards in Hearthstone that offer you a boost to tempo by their very nature. 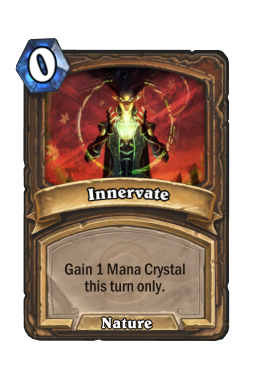 In essence these cards are converting one resource “cards” into another resource “tempo.” Prime examples of these types of cards include, Innervate , Wild Growth , Preparation , and the Coin . 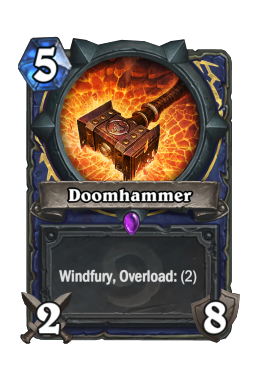 These cards are very powerful tempo tools. The three main archetypes in Hearthstone are control, aggro, and combo. 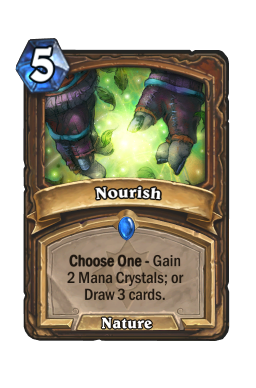 As we already know the goal of every deck in the game is to get your opponent’s health to zero before yours gets to zero. It is a race between you and your opponent to see who can get to that finish line first. These three archetypes have very different tempo strategies for winning this race. 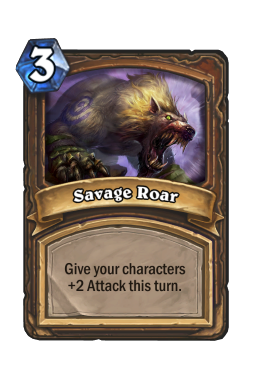 The aggro deck wants to do it by speeding up the tempo of the game and rushing down the opponent’s health, as fast as possible. This archetype is the sprinter of the bunch. The aggro deck isn’t concerned with what the opponent is doing, but instead it would rather develop as fast as possible and hope it can beat you in an all out race. This strategy focuses all of its development on converting resources into attacks and gaining a health superiority. The second core archetype is the control deck. The control deck is the marathon runner of the group. It knows it is in a race, but wants to slow down the tempo to conserve resources for the long haul. Instead of going as fast as possible, it aims to disrupt the development of the opponent as much as possible and then, once it has ground the opponent to a halt, win at its own pace. The last core archetype is the combo deck. The combo deck is the opportunist of the bunch. It knows there is a race going on, but isn’t particularly interested in running along the course that everyone else is following. Instead, it is looking for a way to take a shortcut to the finish line. It hopes to propel itself past the other decks by developing a combination of cards that leapfrog the tempo of the opponent. Now that we have been introduced to the archetypes lets take a little deeper look at them. Tempo Strategy - Control decks aim to do exactly what the name would imply. They want to slow down the pace of play and control the board. Their goal is to have an answer for every single threat that the opponent plays. It is only after they have removed all of the opponent’s threats that the control deck will go about trying to finish the game. Card Superiority - We have to remember all the way back to the first part of this series, to the concept of threat superiority. Threat superiority is just a form of resource superiority because as we learned, cards are just one type of resource. Control decks play powerful threats to ensure that they have an advantage when it comes to this type of resource. Their goal is simply to slow the tempo of the game down enough through disruption that they have time to deploy their threats and achieve inevitability through threat superiority. Thus ensuring them the victory in the long game. Health Superiority - Yet, that isn’t the only way that control decks can win. Some control decks can also win through health superiority. 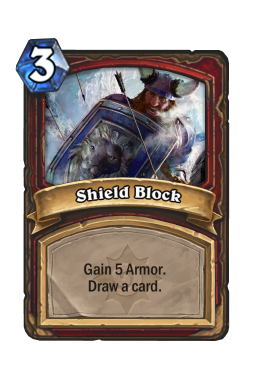 Because there are only 30 cards in the opponent’s deck, some control decks can gain enough effective health to essentially run the opponent out of damage. 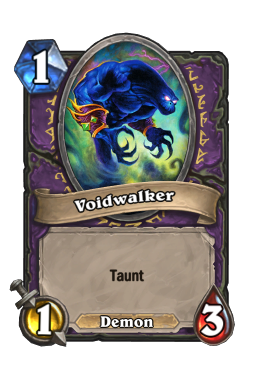 Once they have done this, they gain inevitability due to the fatigue damage that begins once the opponent’s deck is empty. Tempo Strategy – Aggressive decks or “Aggro” for short intend on winning the game by developing more threats than the opponent can answer. There are two main ways to achieve this goal. First, some decks go about this through sheer number of threats. Examples of this type of deck would be the Paladin and Mage aggro decks. 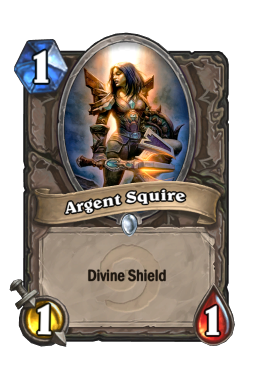 The second type of aggro deck is one that relies on difficult to remove threats. The Zoo Warlock is the prototypical example of this type of strategy. 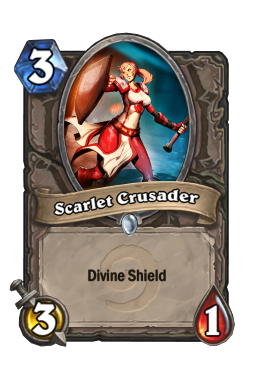 Using hard to remove cards like Harvest Golem and Scarlet Crusader , this type of deck is able to deal consistent damage while maintaining a board presence. Resource Superiority - Regardless of the type of Aggro deck, they will almost never have threat superiority heading into a game. Their goal is to quickly play threats to the board so that they develop early attack superiority. Then they attempt to utilize these unanswered attacks to earn a quick victory by building an insurmountable health advantage. Because they lack resource superiority in most other categories they need to win the game quickly or they won’t win at all. 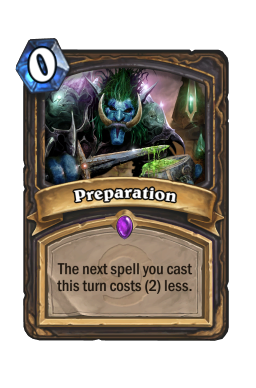 Tempo Strategy – Combination decks or “combo” for short aim to assemble a powerful combination of cards as quickly as possible. Typically they eschew answers entirely. 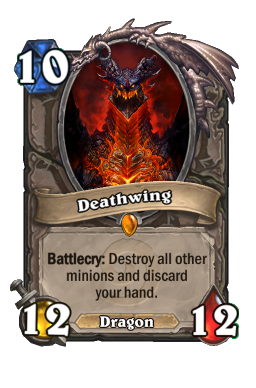 However, there are no pure combo decks in Hearthstone at this point. There simply aren’t enough tools for a pure combo deck to exist, but there are combo elements in many decks. 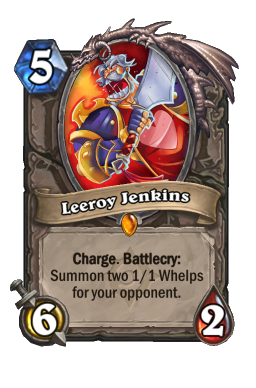 Miracle Rogue decks have the 3 card combination of Leeroy Jenkins + Shadowstep + Shadowstep that represents 18 damage; Druids have Force of Nature + Savage Roar for 14 damage; Shaman have Doomhammer + Rockbiter Weapon + Rockbiter Weapon for 16 damage and there are many more. Resource Superiority - The specific resource superiority techniques utilized by these decks varies greatly by class. Druid, for instance, often tries to win through mana superiority. 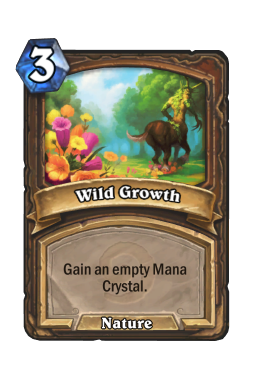 They use cards such as Wild Growth , Nourish , and Innervate to produce additional mana so they can play more powerful threats than the opponent can answer. Miracle Rogue, instead, focuses on card advantage. 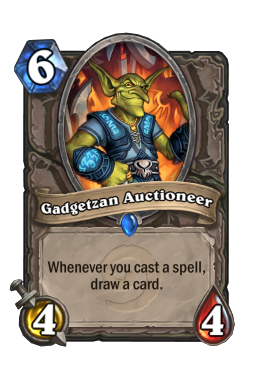 The deck has many ways to draw additional cards including the powerful Gadgetzan Auctioneer . Once the Rogue has asserted dominance through card advantage, they use the combo to finish the game. There is no common theme amongst the decks that have combos within them concerning their resource superiority strategy.